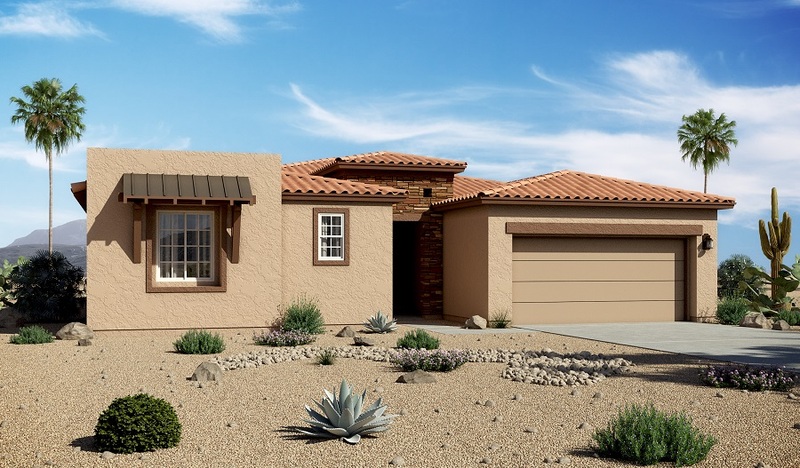 Located on a cul-de-sac, this ranch-style new home greets guests with low-maintenance desert landscaping, an eye-catching courtyard and a charming covered entry. Inside, discover a quiet study, a spacious great room and a gourmet kitchen with espresso maple cabinets, white granite countertops, stainless-steel appliances, a center island and dual walk-in pantries. The luxurious master suite features an immense walk-in closet and attached bath, and is separated from two additional bedrooms for privacy. You’ll also appreciate a bonus room, a laundry with cabinets and a sink, two-tone interior paint and a covered patio!